Tell us about your journey towards literature. What inspired you to write? For some odd reason writing always come naturally to me. I was noted for the quality of my words when I was in middle school, consistently received the highest marks in every class throughout high-school as well. When I was 16 I was quite bored with school and began to write a novel. It was published then in a small press in Europe. I proceeded to write a few more. Some were slated for publications, others not. I then continued my studies in college and found myself studying literature. I wrote on and off for a while, but three years ago I had a number of poems and a friend suggested that I send them out to see. It has been great ride since, and I continue to work on my writing focusing on poetry. Tell us about The Chimes. The Chimes is the Arts and Literature magazine at the Shorter University where I teach. I have been working with the students in the group for four years. My role, and my heart, is in guiding them through the process, and to help them in any way I can. But I do not ultimately tell them what should or should not be published. We work together and produce a print copy here in my little office on my personal equipment. It is a blast. You are also a photographer. Tell us more. Photography is something I grew into at the same time as I did into writing. I have done a little but of everything, but again, ultimately it is not about a job, or making ends meet, it is about expression. Photography is another language. Barthes wrote about it beautifully in his book Camera Lucida. The medium must connect, almost grab the viewer in the stomach and bring him/her closer. I travel to photograph everything. As for poetry, it is a matter of when, not so much what? It is also a matter of how and what detail I choose, not necessarily the whole picture. I am more interested in precisionist and the vastness of any landscape, the opening of a horizon line spreading through time and space. Can you share with us a couple of your poems and the inspiration behind them? molding unruly ankles, protecting their wiggly toes. rest. Wrapped up in silk, enveloped in cotton, even boldly plain? voices contract, voices retract, while many convey. A mad world constrained, as in an alley where elbows are at war. joy, smiles, laughter, and the flow of plastic into the register. now that they have earned and secured the holy grail. To the Grail is a playful one. I wrote it while I was sitting at a coffee shop. I would spend every hour there on one cup of coffee, observing in the delight of others, their rush, their smiles, and the aroma. It was fun to watch their feet as they came and went, moving from one station to another, ordering, collecting, sweetening, sitting down, opening that laptop or arguing about contemporary politics. peace seems to surround her. a slight sigh, a smile and a memory. solidity fades, colours vanish into oblivion. tickles the shoulders; she tilts her head. the breath is of pleasure, it is of life, hers, simply. Fluttering with your butterflies is a love poem, and it includes hints of Quantum Physics (the butterfly effect of course!) She is the muse, the one I want to tease, touch, and move so she will smile because she knows the universe is in love with her. What themes keep cropping up in your writing? What do you care about? Would you believe “love?” Aloneness, and the search for absolute Truth. I suppose the latter is very much connected to the theme of “love.” I care about the universe. Corny? cliche? Not sure! We read quite a lot of pointless literature out there. It is rather easy to line up a few words and call it writing. But what does it really mean? Is it vulnerable, accessible? Does the author let you in and claim: “I am here for the taking; hurt me if you have to, but read me, pull me apart, but most all walk away with something personal!’ That is what I need to do, what I hope many would like to do as well. DO I want to be loved through my words? No! Not at all! Known? Yes! Played with? Why not! Nurtured? By all means, so I can grow a thousand miles away in the hearts and souls of complete strangers! What advice would you give to new poets? Any tips? Read everything you can. Write as much as you can. Don’t let anyone tell you how to write. Don’t let anyone tell you your work is bad. Don’t let rejection affect you at all. Keep writing to enjoy, to the point where you are addicted to writing (and nothing else!) You will discover so much about yourself, you will become a walking gift to all. Having read this, please do go and write a few lines. Write everywhere, all the time. Get up in the middle of the night if an idea hits you in your sleep. Don’t even let it get away. Would it be silly to state that “life” inspires me? In fact it is not so much what, but when? Everything inspires me; what matters is the moment the “inspiration” comes. It could be from a feeling of slight anger, or joy, or a stick on the windshield of my car. The universe is a great question, and I explore it continually. It would be a search for absolute truth. I had this discussion a few days ago with another poet and friend. I know I have a responsibility to the world to write and I must make every effort to do so as often as possible, so readers can be connected to life at a deeper level (hopefully?). I suppose I have a muse, also. A muse need not be a “she,” but in this case, she is. The muse is a woman, or object we cannot touch, only reach out to in the hope of something making contact. Should we touch, the magic would end. I believe Baudelaire would agree. Tell us about one of the best days of your life. I don’t have any idea when this was. I have had many great days. But the one I can remember is based on one of self-discovery, and it goes something like this: “The day I became happy is the day I realized I knew nothing!” Things have been great since. I am a sponge to everything around me, for I know I have everything to learn, everyday. I will thus never grow up at all. I hope more people feel this way. I am reading the classics. My latest was Sappho. I know, it is only fragments, but it is so interesting to discover the words of a woman who lived 2,500 years ago, but tells of passions we all carry with us today, and possibly always have. Those are a constant. War or peace are not. More writing, more photography and helping, perhaps even inspire others to do what I do, be better, and enjoy it, not for fame or money, simply for the joy of sharing, making oneself vulnerable to the world, the universe. I enjoy reading about Quantum Physics, and I find that we are all interconnected with everything to infinity. There lies the truth, and that is why I explore what I hope may be the most mysterious realms of our so called realities. For people not familiar with the label, how would you describe it? At the very base of things, we’re a spoken word record label that produces albums and associated merchandise; which has so far included t-shirts, zines, tote bags, prints and pin badges. However, we much prefer to only release one or two albums per year, and to work closely with our artists on an ongoing basis – helping them to promote their work, producing videos, producing events and tours, etc. We also look to promote and support the spoken word scene in general. 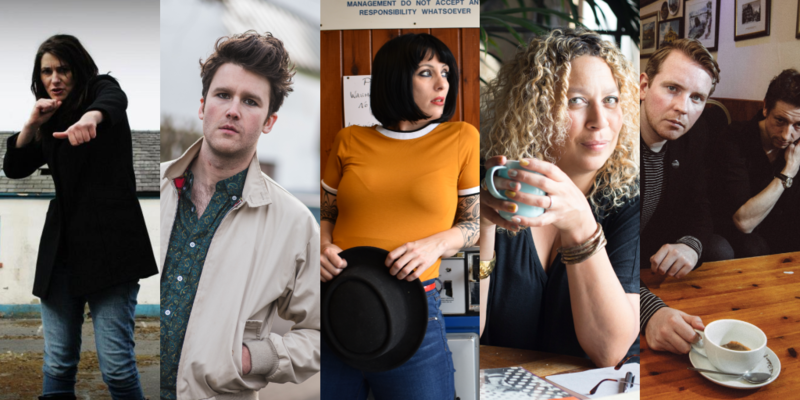 Our Twitter account acts as a spoken word news feed – every day we’re sharing UK spoken word events as well as global spoken word articles and content. If we can act as a gateway for people becoming committed poetry fans, or if we can introduce existing fans to new poets, events etc. then we’ll have done our job. We’re passionate about the growth of spoken word as an anti-establishment and grassroots movement, and we want to champion renegade and dynamic poets. Our Instagram account is also like an ongoing “online open mic”, and we welcome submissions of poetry excerpts, which we feature on our feed. Since late 2016, we’ve been running ‘LIVEwire’ events. This has so far extended to a quarterly night in Leeds, as well as regular festival slots and fairly regular events in London. These events predominantly promote female poets as well as poets of colour and poets from the LGBTQ+ community. Overall, we’re about accessible and engaging poetry which might be seen as “alternative” by the run-of-the-mill poetry elite. I used to front a musical act called Skint & Demoralised, and from 2011-2013 we were signed to an indie label called Heist Or Hit Records. I asked them if they’d be up for releasing a spoken word album of mine to support a short run at Edinburgh Fringe in 2015, and from the initial meeting, we agreed that I’d create a new spoken word record label as an imprint on Heist Or Hit. I sat on it for a couple of months, until I saw a Facebook post from Louise Fazackerley, stating that she had two recorded albums and didn’t know what to do with them. After a quick phone call, Nymphs & Thugs was properly born. When you’re working with a performer, how do you decide which poems will be recorded? In general I like to leave it entirely to the performer, because it’s their work and I know how important it is to have creative control. Usually we’ll discuss the general approach – so for example it might be entirely new material, or a mixture, or a combination of live and studio recordings. So I’ll help them to steer it in the right direction and seal an “identity” for the release. But when it comes to the finer details, unless they ask me for my opinion, I like to leave them to it. Most people are generally amazed that a spoken word record label actually exists! There’s nobody doing what we do on the UK scene and maybe not even elsewhere. I think the fact that we clearly put so much time and effort to promote what other people are doing and support the scene overall is recognised and respected by people, and because we only have a small number of releases and we take time on them, I like to think that they look strong and have more of an impact. 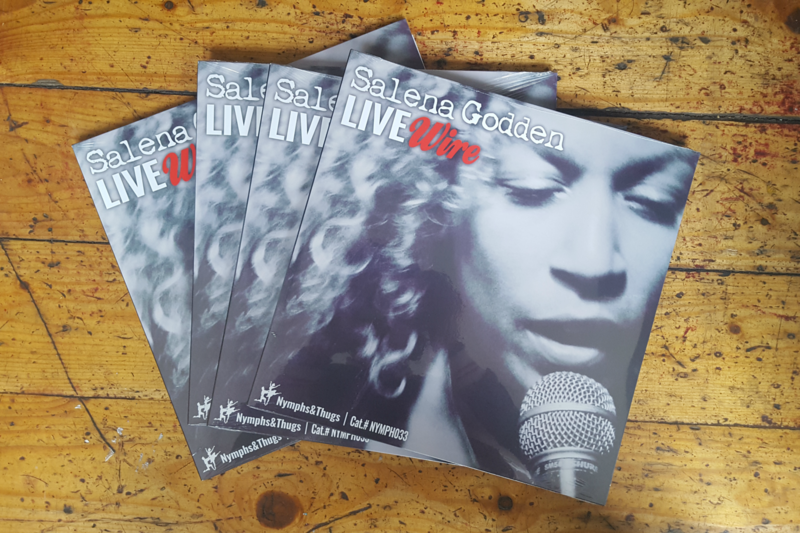 The release of Salena Godden‘s ‘LIVEwire’ certainly increased our reputation; initially due to the fact that Salena is an iconic figure on the spoken word scene, and then also because it was shortlisted for The Poetry Society’s prestigious Ted Hughes Award. I’ve always been very humbled by praise that we’ve received by poets who I greatly admire, and I like to think that we have our own little corner on the UK scene at least. We’re small and we’re pretty limited, but we’re DIY and we really care, and I think people respond well to that. Are the artists pleased with the results? I hope so! I know how incredible it feels to hold something physical in your hand that has your poetry on it, and I hope that all of the artists feel the same. As well as the physical releases, it’s just as much about the continued support when it comes to promotion and events as well – I’d hate to just produce physical merchandise and then leave the artists to sell it on their own. We have an ongoing relationship, and I hope that they enjoy being on the label as much as I enjoy having them. Who are the artists on the label? I mentioned Louise Fazackerley earlier. She’s an incredible writer and performer from Wigan, and her ‘Love Is A Battlefield’ album was the result of a New Voices commission through BBC Radio 3’s The Verb. I’d seen Louise perform before forming N&T and was blown away by her, so when the opportunity came to effectively launch N&T with Louise’s releases, I was over the moon. I’d been friends with Toria Garbutt for a year or so before forming the label, and always knew that we’d work on something at some stage. 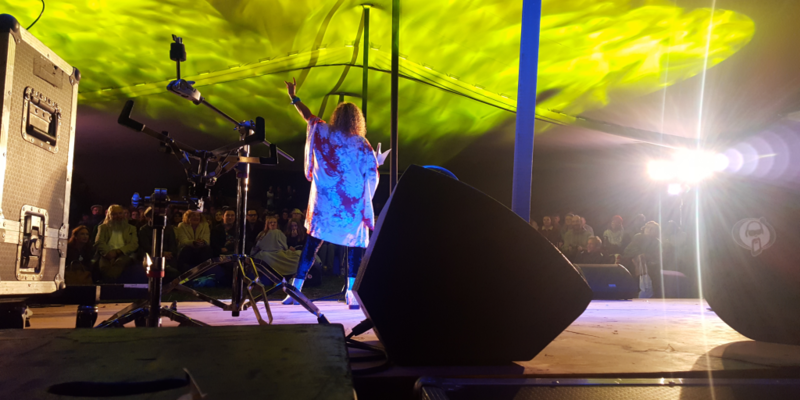 Shortly after we released ‘Hot Plastic Moon’, Toria was invited to support her poetry idol Dr John Cooper Clarke on tour – which she’s still doing – so it’s been a fantastic journey so far. Toria is such a rare voice on the UK scene and a breathtaking performer, and the more people that discover her work, the better. After being on a bill with Salena Godden in December 2015, I knew that I really wanted to work with her. I’ve always been in awe of Salena – it’s no mistake that she was described as a “tour de force” by Lemm Sissay – and to be honest I felt nervous about approaching her to do an album with N&T. But as soon as we met to discuss it (in a pub in Camden), we knew that it was going to work. ‘LIVEwire’ took the label from regional recognition in the North to national and even to some extent international recognition. Earlier this year, we co-released an album from Kevin P. Gilday & The Glasgow Cross. I’d admired Kevin for a while, so when he approached me about the album, it was a no-brainer. One of the things that I want to do with N&T is bridge geographical divides, and whilst London/the North is obvious, there’s also a significant divide between the thriving Edinburgh/Glasgow scenes and England. So I’m thrilled to be working with one of my favourite Glaswegian poets, and on an album which doesn’t sound like anything else on the label. I have also released my own material through N&T, and like to think that I bring something to the table from an outsider’s perspective, but I can’t really speak about myself in that sense…! One reason I love to attend spoken word events, is that I enjoy seeing and hearing poets perform their own work. I like hearing accents in poetry. Do you think its important to record pieces of work which were primarily written to be performed instead of printing them? I don’t necessarily want to add fuel to the “page versus stage” fire, because I think that creating a polarised divide between the two is really counter-productive. But I certainly know that I was listening to poets (as well as lyricists) for many years before I’d started reading poetry, and even now I’m much more likely to buy someone’s book once I’ve heard or seen them perform. The way I see it is, an audio release will never compete with a book or be seen as a replacement; I just want it to be an option, and I think there’s a gap in the market. Too many YouTube videos are poor quality (i.e. recorded on a phone at a gig), and uploads don’t necessarily represent an artist’s best work (they’re often years old), so by producing a high-quality audio release, you’re directing people to an aural entry point into your poetry. Where can we buy the albums from? They’re all available from nymphsandthugs.bandcamp.com. If you purchase a CD, you automatically receive a free high-quality download (WAV as opposed to compressed MP3), or you can choose to do a straight download purchase. Most of the releases are also available from major providers, but it’s much much better to buy direct with indie publishers, so I beg you to buy from our Bandcamp if you are looking to purchase something from the N&T catalogue! What’s next for Nymphs and Thugs? How can we find out more? Well, I don’t want to give too much away. But I’m happy to say that we’re doing a Salena Godden live EP pretty soon, plus a studio recording of my ‘Two Little Ducks’ show which will be available to purchase as a digital download in a special bundle with the accompanying collection. In terms of next year, we have two major releases up our sleeves – one of which is Transatlantic – but I’m afraid that I can’t reveal specific details at this stage! If you want to stay up-to-date, the best bet is to follow us on Twitter and Instagram, and like us on Facebook. We also have a YouTube channel which you can subscribe to, and regularly update the news page on our official website. You are Editor of HAUNT Manchester. What is your idea of the Gothic? Walk us through a typical day in your world. At HAUNT, I’m treating The Gothic with the broadest approach possible. Our tagline, revealing Manchester’s mysterious side, emphasizes an approach which celebrates the alternative and unusual, whilst looking at possible Gothic influences. From Manchester’s architecture to its myriad of subcultures, there is plenty of Gothic inspiration here and HAUNT seeks to celebrate the city as a Gothic tourist destination too. The International Gothic Association 2018 conference came to Manchester this year, held at the same time as The Gothic Manchester Festival, so the city certainly has Gothic credentials. Plus it’s the home of The Manchester Centre for Gothic Studies (based at Manchester Metropolitan University) which HAUNT works with, and has shown that the general public really can get a great deal out of engaging with The Gothic. From dark walking tours to Halloween in the City, there is something for everyone here. So my idea of the Gothic is a constantly evolving form, one that is capable of captivating audiences, as well as capturing cultural undercurrents and dark depths that society sometimes smooths over. To me, the Gothic is the weird and wonderful with some added weight to it. There is no typical day in the life of a professional Goth! I typically work from the Manchester Writing School building, along with my colleague Helen Darby – who first developed HAUNT as a concept – and Andrew Turbine, who heads our spooky social media. We also have had great contributions from the likes of Lucy Simpson, Matt Foley, J.J Wray, Xavier Aldana Reyes, and many more. I also have a crow on my desk…Edgar Alan Crow, no less! A day could consist of anything from writing articles about the Gothic and alternative histories of places in the city, to interviewing the organisers behind Gothic nightlife, plus working with a range of Gothic-inspired writers. Although my role does also consist of editing the work of others, I love contributing plenty of writing of my own to HAUNT – as there is a culture blog, plus sections for Events, Walking Tours, Places, Nightlife and Shopping – all with their own Gothic or unusual twist. I absolutely love it. What is one of most interesting memories since working for HAUNT? There are two stand-out moments for me. One has to be the launch event for HAUNT Manchester – because HAUNT is a network, not just a website… so connecting people interested or involved in the Gothic from across the city and wider North West. 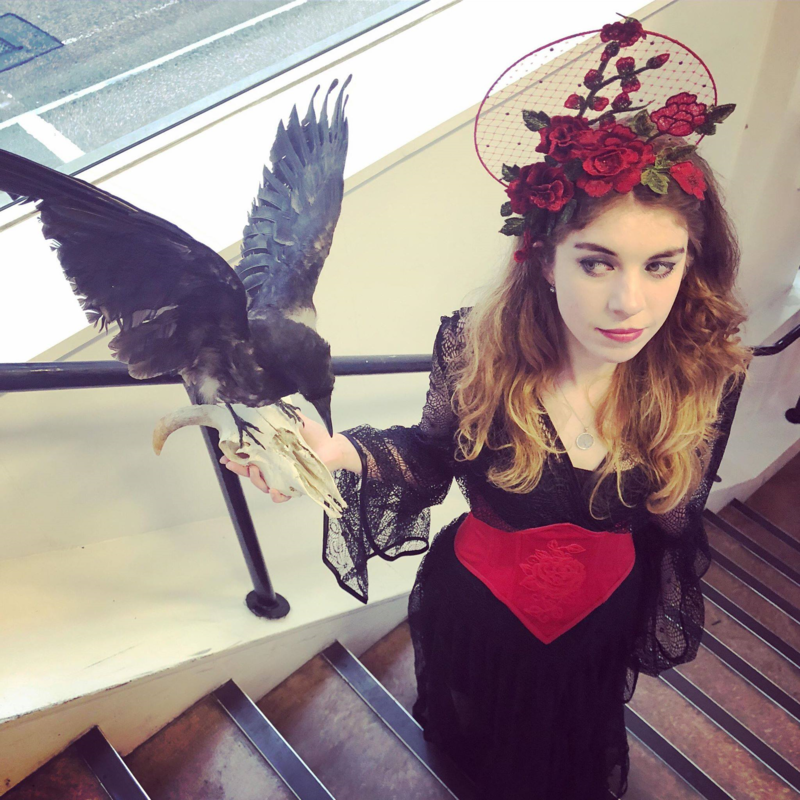 We held the event back in June in The Writing School Building (70 Oxford Street), with Helen Darby significantly behind what was a Gothic get-together of glorious proportions. It featured decoration from The Hungry Dog Emporium Of Curiosities (including a selfie coffin! ), music from the ArA DJs , Helen and I wore beautiful Gothic-styled corsets from the city’s own Kiku Boutique and the turn-out was enormous. It was wonderful to celebrate the passion for the Gothic with so many people, and confirmed to us that there certainly is an appetite for HAUNT Manchester. We also gave speeches and I read my poem ‘Ghosted’. resources for schools and colleges. You are a mental health activist. Tell us more. I am completely determined that mental health should be treated with parity to physical health. Furthermore, talking about the mind is a massively beneficial thing and needs to be integrated as standard practice, for everyone. To open your mind is both a brave and beautiful thing. Through a lot of life I have faced anxiety, depression and was severely ill with Anorexia. There were times when I never ever thought I would see beyond it. It has taken time, the support of so many fantastic people and pursuing my passions, which showed me that life is so full, crammed with opportunities and deserves to be enjoyed by everyone. Every single person has the capacity to feel, experience and turn what they face into good. The recovery process and these realisations for me, made me even more determined to emphasize this to other people. You always can get more out of life – that’s a tantalizing and terrifying thought! There is so much out there for you. I have worked with and written pieces in the likes of I Love MCR, Student Minds, Cathartic and more, exploring mental health themes and accessibility. What kind of poetry do you write? Would you share a poem with us? 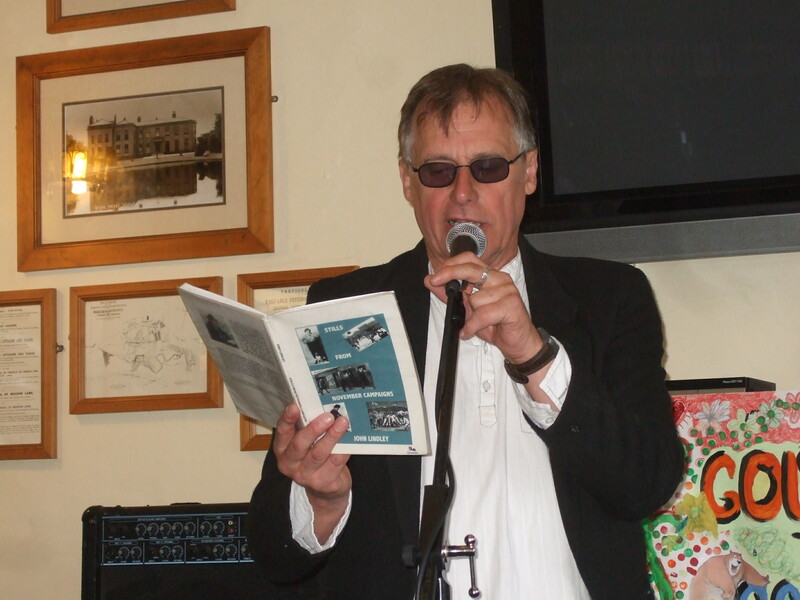 It’s hard to describe poetry as a ‘kind’ – as I’m a bit of a maverick, the things I do seem to crawl in and out of definitions! I guess I’d like readers to make up their own minds, but there certainly is a dark, observational strand when I write. I particularly like to explore the occurrence of oddity of the everyday, the unnerving nature of feelings and the simultaneous power and strangeness of human connection. Heather hardening to coral, crumbled to ash. hung like pistols from my hands. like the pin from the object before you’d thrown it. Do you do any other forms of writing? I am reading The Gallows Pole by Benjamin Myers – a fascinating alternative history of the North. It follows the story of the Cragg Vale Coiners in 18th century Calderdale, an area not far from where I grew up and studied as part of my dissertation (looking at the impact of West Yorkshire on the work of Ted Hughes and Sylvia Plath). I’m wavering, but that’s not necessarily a bad position. Tell us a story in five words…. She gave them her hair. Can you introduce yourself to our readers? How long have you been writing for? 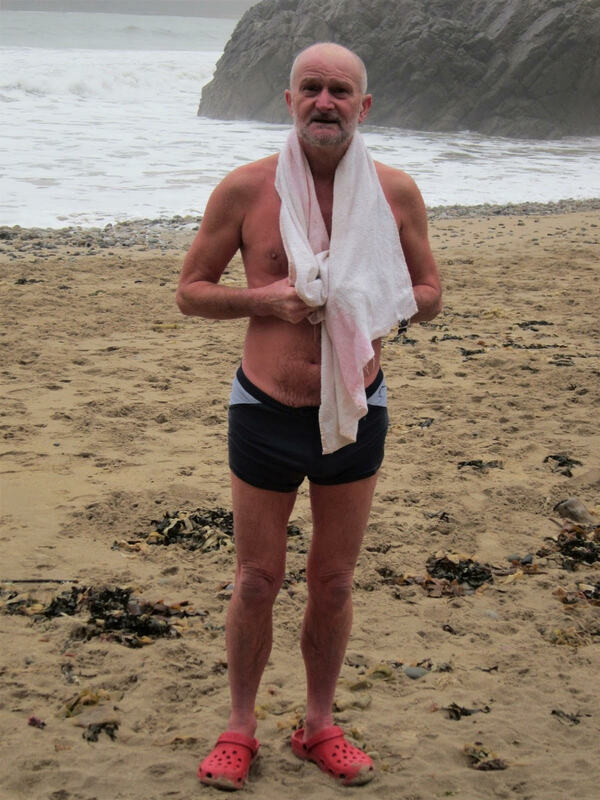 I am 69 years old and I live with my wife near the coast at Mumbles, Wales, UK. I am addicted to swimming in the sea every day of the year. Some of my poems are inspired by the sea, but the range and styles of my poetry is eclectic. I love the idea of finding a poem somewhere. What inspired you to leave poetry on pebbles? 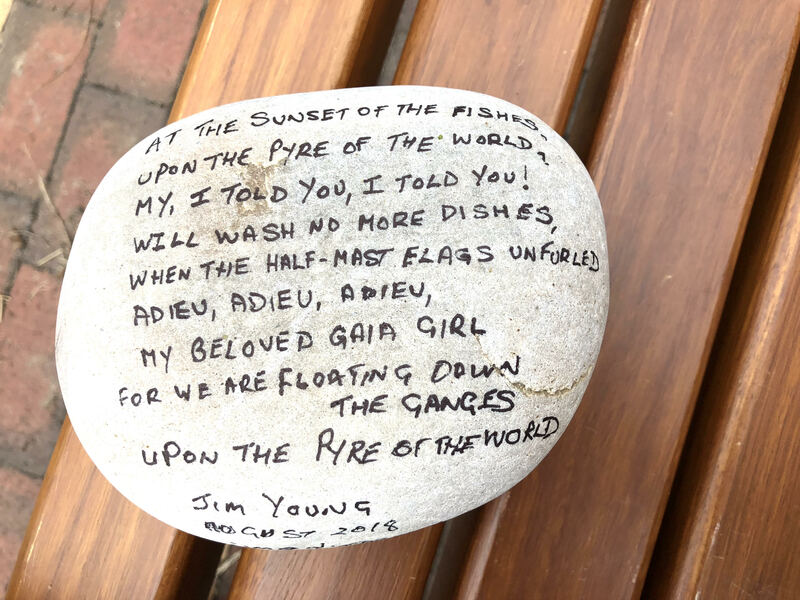 Being in the sea every day at Rotherslade Bay, and seeing the large number of benches there for visitors to sit and admire the view, prompted me to leave poems on pebbles there for everyone to read. Where do you leave them? How many have you left? I have left 10 to date. The number is constrained by the number of seats, but there are many more seats on the enjoining bay Langland, and I think I will start leaving them there as well. There is no theme to my work other than the “spirit” that moves me to write. I average a poem every two days. Once I have leeched the emotion from my mind, the writing is almost spontaneous and I do not “craft” my poems. Have you had any feedback from people who have found them? Yes, the people I speak to think it is such a great idea. I spoke to an elderly couple who had one of my pebble poems on their sideboard at home and their granddaughter loved it. I hope it will provide the idea that poetry is for everyone and not just book readers. Will you be leaving many more? I think I will continue to leave them at the seaside. The ink does fade after a few weeks, and I will replace them with new ones. I was born and live in Dylan Thomas’s “ugly lovely” town. His poetry is exemplifies “tight”word-craft. The poet who inspires me more than any other is RS Thomas. I do not have a car and walk everywhere all year around in all weathers, and, also, I have run a Photoblog since 2005, so every single day something, or the feel of a day’s events, inspires a poem. When I relax in my armchair after my swims I find things “come to me” unbidden along with the words and rhythm to express them. I call it the muse in my mind and the bard in my bonce. It is slightly uncanny the way it works. Which writers / poets do you read? I read all sorts of poets and poetry. I buy them all from the local Oxfam charity shop and I am enthralled and intoxicated by the different smells that fall from each book, and my imagination sees the previous owners in their time. Philip Larkin and T S Eliot, with Shakespeare’s sonnets waiting in the wings. Do you have some poems which you would like to share with us? my: I told you! I told you! when the half-mast flag’s unfurled. upon the pyre of the world. such longing, such an aching lamentation. that i could cope with. in the push and pull of the tides. That’s where my secret abides. to where the cormorant stands on end. and the snows press down the bay. that will last me through the day. that perennial phoenix of spring. of the quenching, churning tides. then, only then, am I alive. As alive as live can be. –Alive as the roaring sea. —Alive as a swimmer in winter. In the sea where he’s meant be. Describe your journey towards becoming an author. It sure has been quite an adventure, but I feel blessed to have got this far! It is generally very difficult to hit the ground running, but once a door opens, it can lead to a whole new slew of opportunities. The truth is that at first I was baffled as to how my writing would reach as many people as possible and make an impact. There were people out there who have been along for the ride and supported my every effort. I am really grateful to Fire Feinberg from Verse-Virtual who saw that little spark in me and goaded me into writing. Another influencer has been Nancy K. Wagner from Page and Spine Fiction Showcase and Mark Antony Rossi from Ariel Chart. But my first book entitled Literary Journeys to the Holy Land was my editor’s idea, Aristomenis Flourakis, who is also an author and publisher. I am eternally grateful to him for everything. I love religious and philosophical poetry! For me, poetry is a form of catharsis, a path to a better cognizance of myself and my weaknesses. 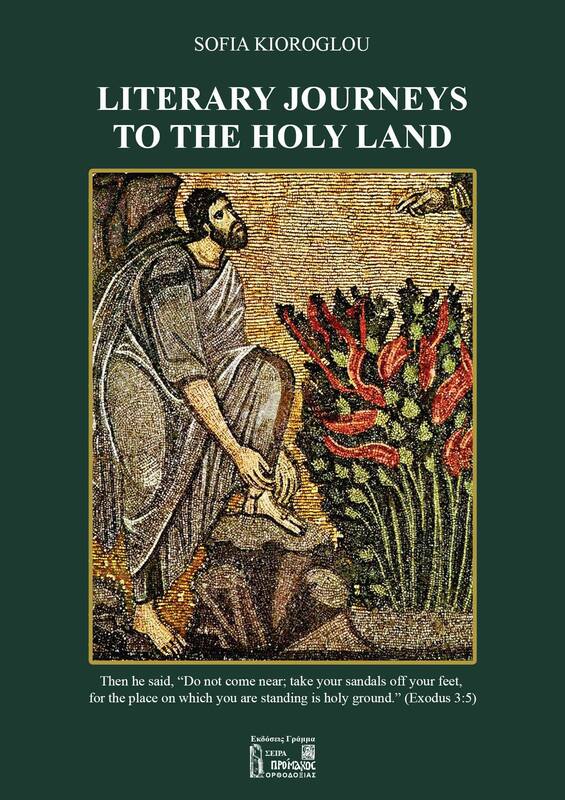 Please tell us about Literary Journeys To The Holy Land. It is a fusion of poetry and narrative with a rich collection of pictures I have taken during my travels to the Holy Land and Egypt. It is a truly compelling book in that you get to trace the life of Jesus through beautiful poetry and text. You live in Athens. What is the literary scene like? There’s lots of interesting things going on! There are a slew of good writers out there but there also voices that go unheard or are not given half the chance to go any further. I count myself blessed to have been given the opportunity to get my writing out there without producing anything that is commercialized and cliched. 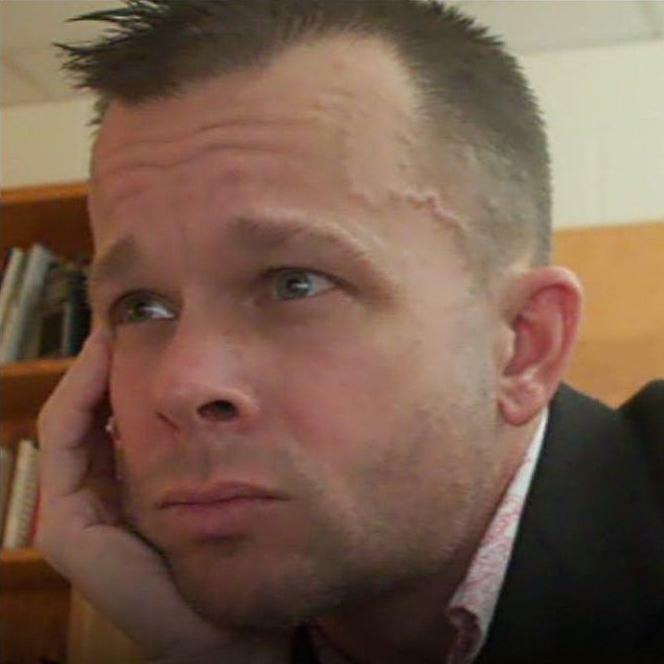 I am an English teacher and translator and have a heavy workload. My only solace is writing and travelling to the Holy Land and Egypt. I am also involved in missionary work, which I find most fulfilling and enriching! I get my inspiration from my travels to the Holy places and from real life events. I don’t like poetry that glosses over facts or that is far removed from the needs of people. Not to get things too seriously. Never criticize and always forgive. My whole life has been a literary pilgrimage. Because it stirs people into action when they are lulled into a state of complacency. Write from the heart and do not to pander to the demands of publishing houses. If you do that, your work will soon melt into oblivion. I have just finished a biography and I am planning to get my hands on a newly released book by Nontas Skopeteas. I have two projects coming down the pike. The first one is a children’s book, and the other one is a behemoth of a book based on testimonies regarding miraculous events that happened to ordinary people. It is truly fascinating and I got to meet some really interesting fellows during my interviews. You are a Mumbai based senior academic, critic, literary editor, and author, with 19 published books. Tell us about your literary journey. How did it all begin? Right from early childhood, I was interested in fine arts. Both mother and father were college teachers. Ma taught painting and Pa, literature. Picasso, Premchand and Dickens co-habited the same North Indian space. This love for things artistic and spiritual was my early legacy; a kind of teenage initiation into the higher realms of truth, otherwise obscured; a sacred exercise that allowed glimpses of parallel spheres out there in regions not accessible to eyes and mind ordinary; inaugurated new pathways, gateways and threw open hidden vistas; facilitated fresh perspectives and insights into a complex organic process called life. It is an amazing capacity of great art that is otherwise lacking in other fields or branches of knowledge. The mint-fresh epistemologies prove empowering for the recipient and are conscious-raising in quality. The rare ability of an artistic artifact to open up spiritual dimensions for the disciple and simultaneously initiate a contemporary dialogue is, well, marvellous feature of such age-defying pieces. Art can renew the immersed and restore some sanity in an absurd world, thanks to the post-reading or viewing activity. So the fascination with such an art continues. In a rough chronology of sorts, in a brief recall, I can safely say that I began writing from college days, some juvenile stuff, first standard you have to pass in the journey onwards as a writer. It was not satisfactory phase, it can never be. Dearth of life- experiences made these outpourings immature, sloppy, sentimental and raw. It lacked depth and distance, crucial for serious art. Subsequently, harsh realities of a middle-class existence, in a post-colonial nation, took over imagination and cooled down the ardor for art that hardly pays in an anti-art market that tends to favour and promote best-sellers selling fantasies. In my 30s, I moved to Mumbai in search of a job that could pay for mounting bills. Mumbai is also a mega magnet for the poor, disenfranchised, the unemployed and dreamers, apart from the powerful and wealthy; it is powerful financial hub of the country and home to Bollywood, a powerhouse of ideas and talents with or without inheritance. I found home in a hospitable city, the most cosmopolitan and professional one in india, despite heavy constraints. Later on, it became my Muse as well. Due to early lack of opportunities, I could not focus much on writing—no point in writing, when it does not get a reader somewhere, some place. Meanwhile, I began freelancing for major English daily. In the 1990s, many publication avenues were made available, courtesy the borderless revolution, officially called the Internet, the most liberating moment in the history of human civilization. Although, it presided over the slow and painful death of print, Internet also released the publishing space from the limited tyranny and limitations of print. Now, you can soar easily the stratospheres of the cyberspace spanning the global village and reach out its any corner. That sudden high-tech window motivated me to write again for a large, almost global audience. Last 10 years or more, I have been publishing consistently. My tryst with art continues. It is my means of survival in the midst of a frightening market economy that produces nihilism and cynicism of another kind. How did you become involved in Setu? It was accidental. 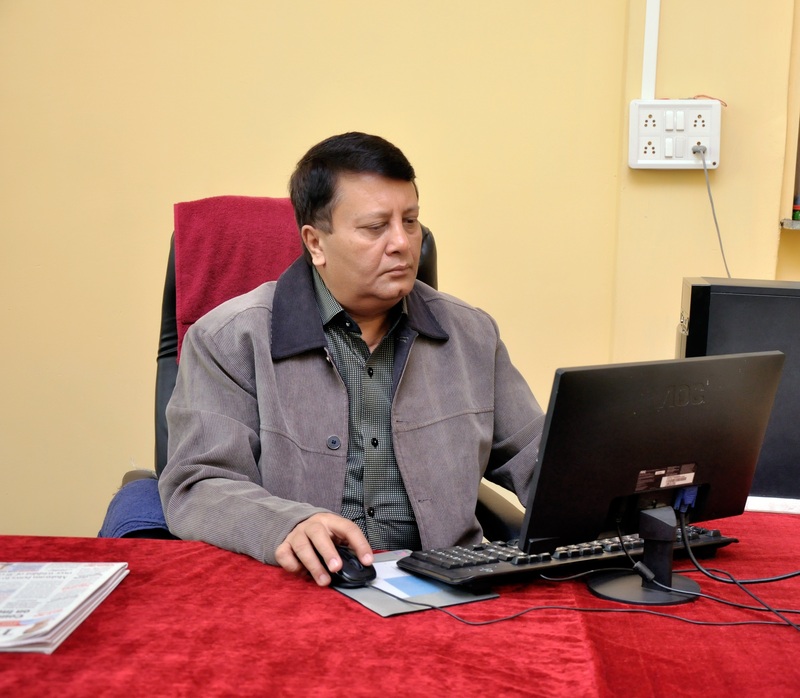 My cousin Anurag Sharma—a gifted bilingual writer and IT wizard— called up from Pittsburgh, USA, one day and during a long conversation, we decided to launch a bilingual e-journal to be published monthly from USA. It clicked and the expedition began. It is our third year and we have got more than 4 lakh (100k) page hits! We, through Setu, are building bridges of understanding across cultural geographies. That is the primary task of a bridge (Setu in Sanskrit). A remarkable journey! Patronage by readers, fellow editors and writers have helped fuel this strange trajectory in a busy space. What is it you love about poetry? What kind of fiction have you written? Poetry is a refreshing breath on a clean-air day, a rare Sunday outing probably, some place outside the metro full of smog. It rejuvenates the innards and heals the fissures. It makes you whole! My fiction explores the underbelly of development and growth and is often literary, referencing other writers that have stayed on with me for last 30 years. It questions state narratives and tries to subvert the status quo. What do you care about? What themes keep cropping up in your writing? The underdog is my enduring concern; the insulted and the humiliated; the voiceless. The threats faced by liberal-humanism. Increasing racism and fundamentalism. The rightist forces on ascendancy—these have to be resisted and reversed through writing and praxis. These are recurring concerns—nightmares visited again and again in a glitzy mega-polis. Can you share with us one of your poems? What inspired you to write it? Sure. A published poem, my personal anthem. Symphony No 9 in D minor, among other artifacts. How refreshing the lines from earlier! How different now— the millennial universe! Capture the best of this world! Both Schiller and Strauss inspired this poem and the inspiring message of oneness of humankind is still relevant and needs to be urgently re-enforced in a divided world of hate- mongers and solo merchants of death and mayhem, wanton acts of violence done in the name of one God and religion, laying sole claim to truth and salvation! You were involved in the UN project anthology in 2015. Please tell us about this. What advice would you give to our followers in submitting work for consideration? Are there any places you would recommend? It just happened. I was surprised when I got an e-mail from their New York headquarters, inviting me to make a poetic submission. I thought it was some prank or a fake mail but a fact check proved it to be genuine. It was claimed that I was one of the three Indian poets selected for this unique anthology on happiness. It was pure nirvana for a solo and suburban writer, my fifteen seconds of fame! Follow the guidelines and deliver something cracking with energy. There is one place I know intimately and it is also most welcoming— Setu that I edit. There are other venues in the cyberspace—some pretentious, some real sober; others pure snobbish—you have to find out what works best for you and what not. Archived sections help to understand the personality of the journal—and opening remarks of the edit team! A working day starts at 7.15 in the morning in Kamaladevi College where I am principal. There I supervise a young team of pros. Interacting with learners is a real pleasure. Late afternoon, I return to my suburban home. The day’s sojourn ends at late night. There are typical daily pressures, deadlines and short-term timelines; challenges of a campus and civic life in an Indian metro bursting at its seams and due to poor planning; a brief nap, followed by a long evening walk and then few hours of reading and writing, before/after quick dinner. And occasional Hollywood on prime-time TV—no binge-watching the idiot box. A daily routine of ordinariness and frustrations, interrupted by sublime moments of creation. In a pedestrian world, each creative becomes another Maud Lewis, or, almost. Hatred. It has already resulted in lot of bloodshed and loss. It is an insanity that needs to be checked universally in every epoch. Humanity. An apocalyptic world has got no appeal to me. Real lucky to be born into a species that has evolved and produced great artists, philosophers, doctors, sports persons, gurus and scientists, not necessarily in this order. Homo sapiens have made tremendous advancements and taken the civilizational project to a higher level. Politicians are trying to destabilize that order. Rainbows are multinational and immortal! Writing is a demanding craft. One has to work hard in order to achieve a certain level of perfection. Currently, I am reading Dostoevsky’s shorter works and enjoying them for their dialogic quality. I am revisiting the Master after thirty years and trying to learn afresh from a humble distance. The way he captures the darkness of the Russian landscape and its soul is, well, simply breathtaking! He is a summit that has not been surpassed so far. Towering Tolstoy, of course, is there, but his gaze is in a different direction. Planning to bring out my next book of poetry, soon. Then, a collection of shorts by the end of this year. You were appointed Cheshire Poet Laureate in 2004, and Manchester Cathedral Poet of the Year in 2010. Congratulations! When did you first discover your passion for words? Almost as soon as I could speak it seems I was making up little songs. I’m not sure that’s particularly unusual. It’s what many children do. I became an avid reader and certainly essay writing – or ‘composition’ as it was referred to – was a joy to me. I began writing poetry (badly) in my early teens. 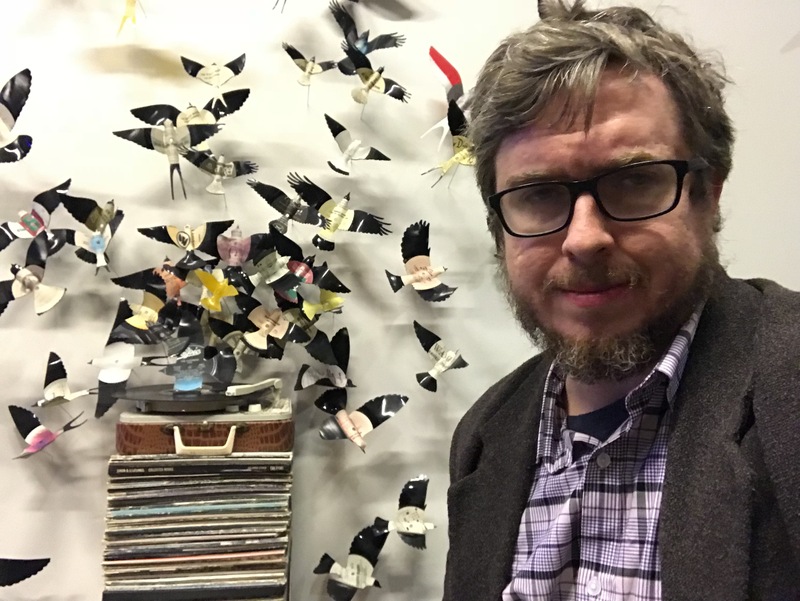 You have written many poetry collections including Scarecrow Crimes (New Hope International, 2002), House of Wonders (Riverdane, 2008), and The Casting Boat (Headland, 2009). Your new prizewinning collection, Love and Crossbones, will be launched in 2018. Can you tell us about this? Where is the launch? I was fortunate to be shortlisted in an international poetry competition following my entering the initially required submission of 20 pages of poetry. The 3 prizewinners were to be published. On receiving the balance of my collection I learned after the judge’s selection that I had won 3rd prize. SPM, the publishers, missed the scheduled publication date and the launch at The Poetry Cafe in Covent Garden at the end of June had to be cancelled. The book is now due for publication on 25th July 2018. Whenever it happens, I intend holding an eventual local launch in Congleton whatever other plans there may be. 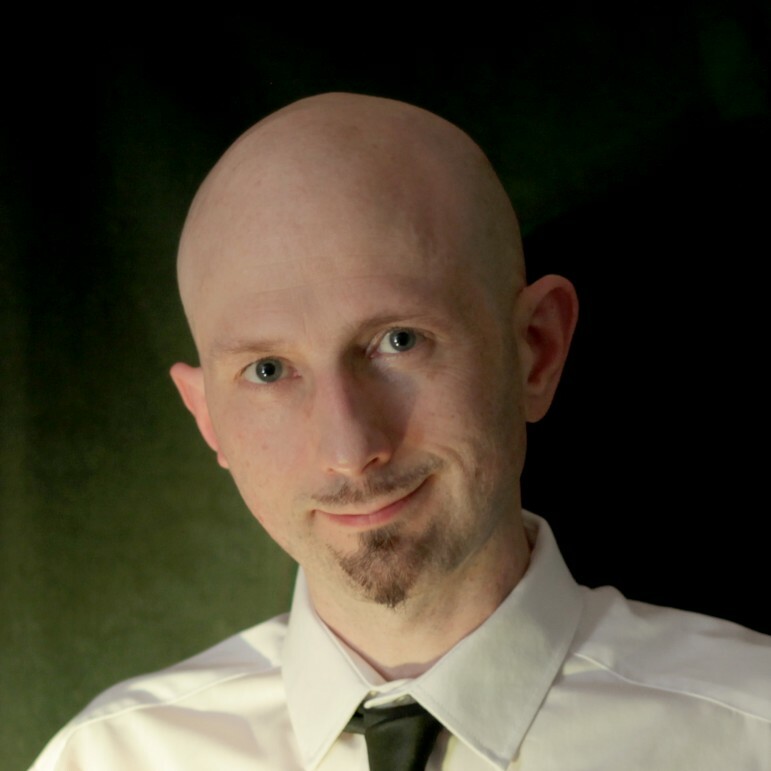 You are an experienced performer, having read at many festivals, including Buxton, Edinburgh Fringe, and Ledbury. What were Bunch of Fives and Fourpenny Circus about? These were 2 touring shows that attempted to combine original poetry with elements of theatre. The first involved poets Joy Winkler, Jo Bell, Andrew Rudd, Harry Owen and myself. Fourpenny Circus was the same cast minus Harry who was, by then, living in South Africa. We had Action Transport’s director Kevin Dyer working with us and sets and scenery were employed. The shows were far and away the most ambitious projects I’ve been involved in. Tell us about your cinematic based show Reel To Real. It’s a one-man show in which my poems, all taken from my cinema-themed collection, Screen Fever, are performed, accompanied by or integrated with projected film footage. Thankfully, it’s been very well received and seems to be a show that appeals to both poetry enthusiasts and, because of its subject matter, to those with little or no interest in poetry; those who would not normally attend a more conventional reading. I’ll be performing it again at The Old Saw Mill in Congleton on 13th September as part of Congleton’s Heritage Festival. In Embers and Sparks (Riverdane, 2014) you go in search of Dylan Thomas, as poet Phil Williams puts it, ‘the legends, photographs, artefacts, and recordings echo through John’s rhymes.’ Could you please share with us one of the poems, and walk us through the inspiration behind it? to his parents’ house, reaches their door, raps. Dylan crosses to Brown’s for beer and gossip. another hour to put it in again. under the heron’s and the cormorant’s watch. 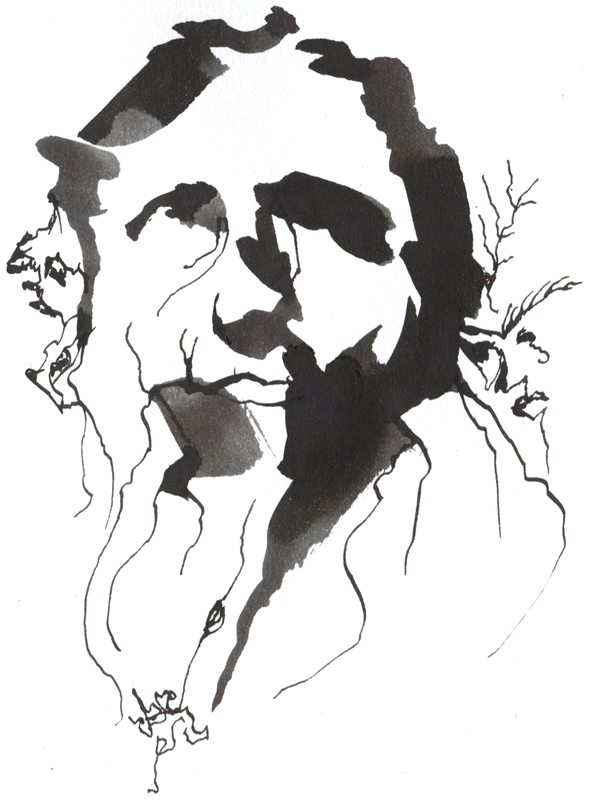 of a poem that trails him from the writing shed. make it home, make tea, make love or mayhem. I would imagine that anyone familiar with Laugharne will recognise the geography of this poem: the Boathouse where Dylan lived with his wife Caitlin and their children in the last 4 years of his life; his nearby writing shed; his favourite pub, Brown’s Hotel, and the Pelican house opposite which he’d moved his parents into. ‘Routine’ (the poem’s title) isn’t a word one would normally apply to Dylan’s often chaotic life but it seems to me that there was a semblance of it in the first few months of his move back to Laugharne before things truly began to fall apart for him. I like to write in a variety of styles and chose straightforward quatrains with a regular rhythm and an ABAB rhyme scheme for this poem, perhaps to try to convey that sense of relative order in his day-to-day workings then. I preferred, though, not to end-stop many of the lines and to employ quite a few slant rhymes to aid the flow of the poem and to avoid it falling into a style more mechanical and predictable than I felt appropriate for it. You provided distance learning workshops for writers in Africa as part of the British Council’s Crossing Borders project. How wonderful. Tell us more. It was a British Council funded project run by Lancaster University. A number of writers were involved, covering various genres such as novel writing, playwriting and, in my case, poetry. We were providing distance learning via set tutorials to adult writers across Africa. At one point I was asked to visit Nairobi to run face-to-face workshops for a week with a group of students and to give a public reading. It was a thrilling experience and I’m grateful that I was given that opportunity. As a creative writing tutor, have you any snippets of advice for writers? Do you ever get writer’s block? If so, what do you do? ‘Read poetry’ is my advice. It’s remarkable how many aspiring poets read no-one but themselves. I’d recommend reading a broad range – funny, serious, rhymed, free verse, ancient and modern and the stuff in between. It should be a pleasure, not a chore. Anthologies are a good start. Not every style encountered will be liked, of course, but I believe it’s good to be open-minded. 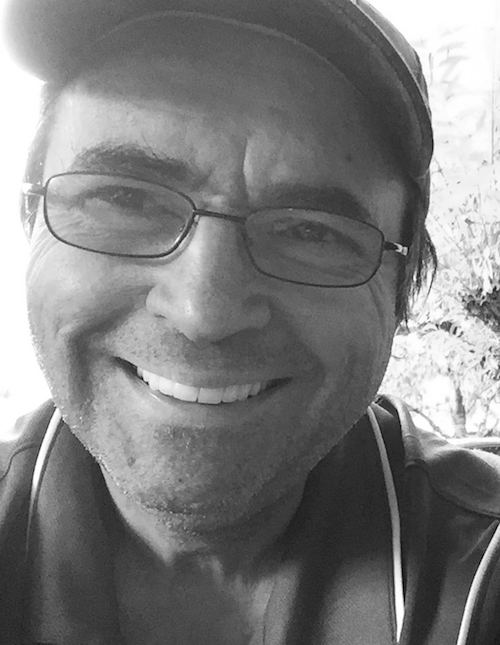 I suffered a long period – 3 or 4 years – of writer’s block in the early 90s. Keats’ dictum that “If poetry comes not as naturally as the leaves to a tree it had better not come at all.” didn’t resonate with me. 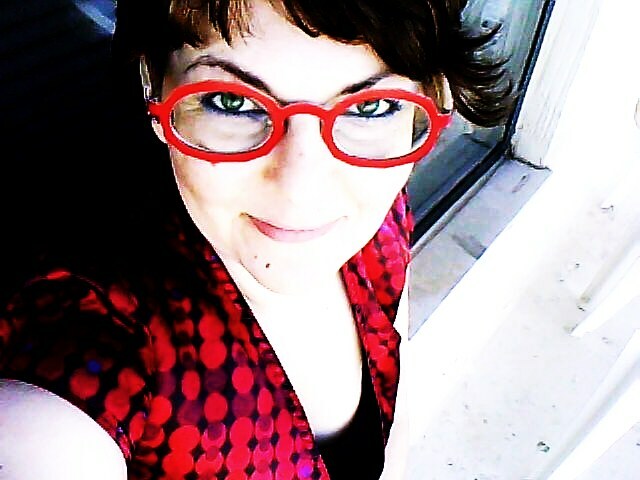 I finally ended the block by making a determined attempt to immerse myself in poetry again: reading, attending workshops and readings and generally trying hard to reconnect to a poetry scene which I’d been neglecting. You recently performed at Holmes Chapel library as part of a band, and have a CD available called Wasteland. How did this come about? I’ve always written songs but, with not really considering myself a singer/musician, have generally looked on songwriting as of decidedly secondary interest to my poetry. About a year ago I began to think that I would like some of those songs to see the light of day, rather than exist as merely lyric sheets with accompanying chords that would surface only at the occasional jam session I’d take part in at the pub. I had a tremendous amount of help from others I recruited to play on, record and produce the CD. The idea of doing live performances, before or after the album was done, never entered my head. We’ve done two so far with another in the pipeline but I certainly don’t view this as a new line of work for me! All proceeds from CD sales are for charity so it’s been good that money continues to be raised through these gigs. Believe me, Deborah, he wouldn’t listen. He was a rebellious little bugger. You also held workshops with people in prison. It must have been so rewarding? Very much so. Demanding and challenging too, though. I was offered a 3 year residency at Lichfield Prison but enjoy the variety of my freelance work so much, I turned it down. My dog and coffee calls. What kind of work did you collaborate on with American artist Daniel Bonnell? I came across his work when searching for a suitable cover image for my collection, The Casting Boat. The title poem is one about a search for faith and I found some of his Christian paintings online and was particularly taken with them. I approached him for permission to use one them and a correspondence began. He liked my work and, despite knowing that I was an atheist, suggested a collaboration in which I would write poems in response to 50 of his paintings. It was a fascinating enterprise for me. From time to time I give designated performances of some of the poems and talk of the collaboration against a projected backdrop of Daniel’s paintings. These readings have usually been in churches and, a couple of years ago, I was booked to give the reading at a national preachers’ conference. It was hugely enjoyable. The show’s title, Crossing the Divide, signifies Daniel’s and my distinct worlds – American/English, Painter/Poet , Believer/Atheist – meeting. Another happy outcome was that one of the poems, Annunciation, that I wrote during this project won the International Religious Poetry Competition, the result meaning that they found themselves with a fully-paid up, card carrying atheist as Manchester Cathedral Poet of the Year! I’ve included the poem in my forthcoming collection, Love & Crossbones. Adventures of a Ballad Hunter by John A. Lomax. It was originally published in 1947 and has recently been republished. It’s an account of the extensive folk song collecting and field recordings that the author undertook in the first half of the 20th century. He amassed hundreds of ballads, blues, spirituals, cowboy songs and more that would otherwise have been lost forever. This kind of thing fascinates me. I’m currently reading too Required Writing: Miscellaneous Pieces 1955 – 1982 by Philip Larkin. Larkin remains one of my favourite poets despite myself holding polar opposite views to those he held on so many things. Apart from your book launch of the excellent Love and Crossbones this year, what’s next for you? What plans have you got? My plans, alongside my regular workshops and open mic events I run, are for the Reel to Real performance in September I mentioned, a collaborative show as part of Goosfest 2018 in which I’m working with a duo performing Bob Dylan songs, a few day’s WWI project work in a Crewe primary school in November, a weekend’s workshop course in Southport for OU students and some other bits and pieces. Other things get fitted in as they come along. I’m not always sure what’s coming next which, as I do this for a living, can be both exciting and a little worrying at times! I presume it’s the same situation for many others who, like me, work freelance. 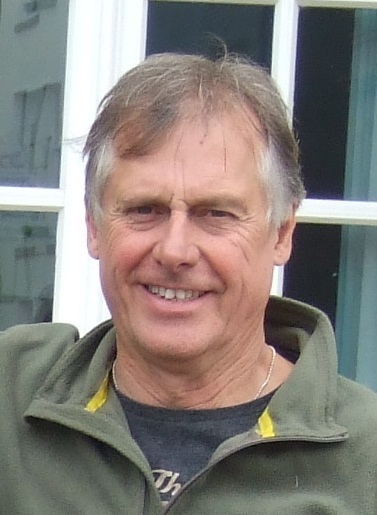 I’m to be one of the contributors to a project John Gorman in Liverpool has set up, the Quality of Mersey, in which I will attempt to write a poem about the River Mersey’s source in Stockport – my birthplace. I’m also to write a poem for Mark Sheeky’s exhibition at Stockport Art Gallery based on one of his paintings. You know and work with Mark, of course, Deborah. I hope to be busy too when Love & Crossbones is published and launched in putting together and delivering a series of readings from the book. 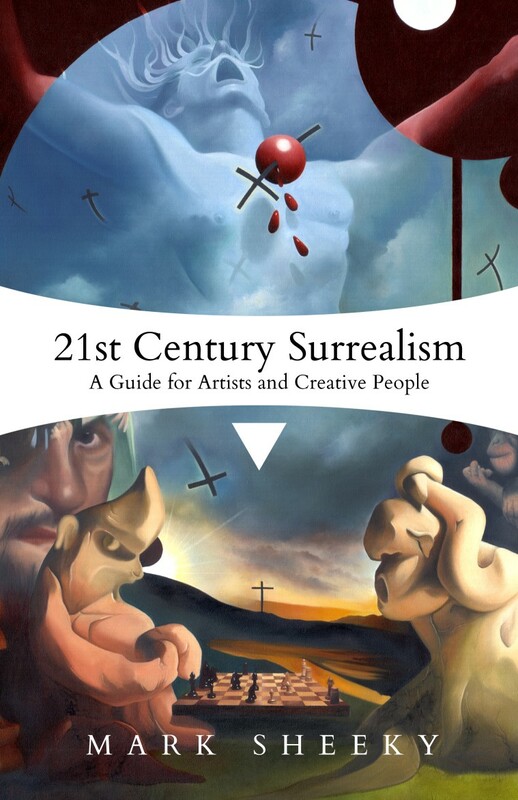 Congratulations on your new book release, 21st Century Surrealism: A Guide For Artists and Creative People. Can you give us a brief synopsis? Thank you dear Editor, and hello and welcome to your readers. 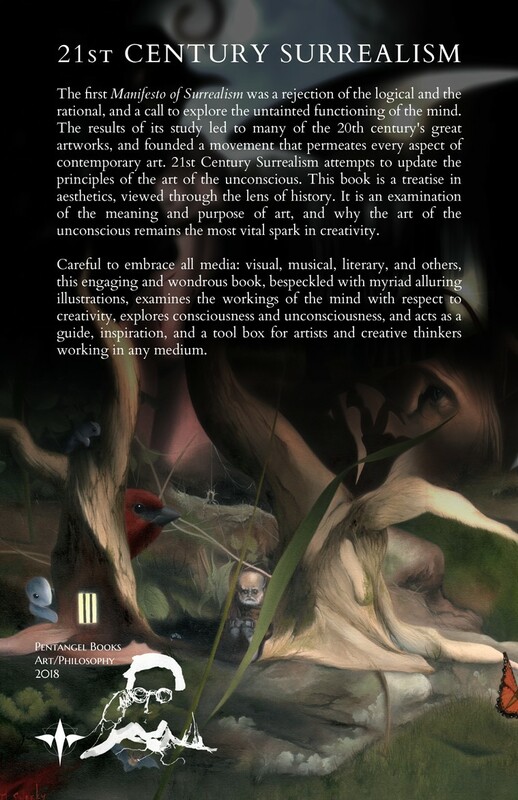 It is this tone that begins 21st Century Surrealism, because it’s a friendly book that takes the reader by the hand, and along a journey that explores art and creativity, and what art is all about. I began with a look at Surrealism as an art movement, and a look at why it worked so powerfully when it did, and why it died out as a powerful force in contemporary art. 21st Century Surrealism isn’t a history book, it’s more of a book about creativity itself, thoughts on what makes some art good, and some not, and makes the case for the art of the imagination; why it worked a century ago, and why it can work today. I should point out that I was careful to include all art forms. Surrealism was originally a poetic movement, not a visual art movement, so the book isn’t specifically about painting or writing or music, but about general creative principles that can be applied to any sort of creative thinking. The structure of 21st Century Surrealism has three main chapters: A Study Of Scarlet, The Tomb, and The Gardens of Elysium. Why did you choose this structure? How is the first chapter related to Sherlock? This was my first non-fiction book, and so I had an infinity of structures of choose from. I wanted a tone that was fun and friendly, that felt, while you read it, that your mind was exploring an exciting new world. One reviewer commented that it was like an academic book written by a poet, which is a great compliment. The book argues that art should be exciting, emotive, and have a structure that is engaging, so it should itself embody its own principles. Any book about aesthetics should at least embody its own conclusions! The Study Of Scarlet is a play on words. The first chapter is a study, an analysis, and perhaps the scarlet matter is the mind and the heart, but also I found a few quotes by Sherlock Holmes (well, Sir Arthur Conan Doyle) that sum up some important and useful principles. One quote concerns the mind needing to store only the right components. We can only invent something using the palette of our experiences, the words and images in our heads, so the things we put there (Dali called this ‘eye food’) are very important for a creator. In A Study Of Scarlet, you discuss several aspects to conscious thought. How would you describe conscious thought, and how do you apply it to art? One important part of the book is a look at how the mind works because this is really important for imaginative people. Surrealism was based on a theory of the unconscious, so anything that analyses surrealism must analyse consciousness too. Consciousness is simply being aware of our thoughts, that is all. There might be a thing called the unconscious, a realm of thoughts that we are not aware of, but we must become aware of it at some point otherwise it might as well not exist. Ultimately, I make the case that dreams and strange imagery are no more or less ‘conscious’ or genuine than any other thought. Surrealism as a principle is a fraud. Imaginative thoughts are not more or less conscious than any other, and not better or worse for it either. How important do you think emotion is in creating art? This is a difficult question. In some ways emotion is vital because all good art moves us, so art needs to be emotional, but the emotions in an artwork are made by the dialogue between the artist and the audience. An unfeeling artist can still move a sensitive audience. We can feel sad at a broken cup, for example. I make the case that the good artist needs to feel and understand what he or she is trying to convey though, and not leave things to chance, so, for the perfect artist, sensitivity is vital. Emotional sensitivity is as vital to an artist as eyesight is to a painter. Do you think art needs a political/social/philosophical message, or is it enough to just feel emotion from it? Art with a political/social/philosophical message is often emotional… and it will help the audience understand it. Perhaps art that lacks those things must only be personal, but even then we must understand the experiences of the artist and the message. Is it possible to have art without a message that is still emotional? I imagine a Rothko painting, with flat coloured bands. People can be filled with emotions by those paintings, and perhaps they are picking up what the artist felt when he painted it (this is the aim of abstract expressionism). Isn’t that a personal message? Even in that most simple and most abstracted form of art? Can you share with us an illustration from the book? The book cover is from your own painting entitled God Being Killed By Thesists And Athiests. Can you walk us through the idea behind it, and why you chose it as a book cover? The painting was about a battle between theism and atheism, with religion on the left, and atheism on the right. The interesting thing about the painting for me is that it has two different emotions and viewpoints, religious and areligious, at the same time, and appears as one or the other depending on your viewpoint. The crucifix on the horizon is either Christ representing rebirth, or a gravestone representing death. In visual terms the painting is also a battle between blue and red, light and dark, and many other contrasts. It is a dramatic and challenging painting that looks like what people think of as a ‘surrealist’ work, and so it made for a perfect cover. The back cover is another one of your paintings, The Paranoid Schizophrenia of Richard Dadd, which is one of your best selling prints. Why do you think people are fascinated by this image? How do you apply your concepts in 21st Century Surrealism: A Guide For Artists and Creative People to this image? The Paranoid Schizophrenia of Richard Dadd is fascinating partly because there is a lot in it, there are always things to discover. It is based on, and is an homage to, ‘The Fairy Feller’s Master Stroke’ by Dadd, and that painting is crammed chock-full of things: faces, plants, fairy creatures. People love images that are loaded with things for them to see and discover. Another influence on the work was Bosch’s ‘Garden of Earthly Delights’. One of the principles in 21st Century Surrealism is that more information makes work better, and the Dadd painting, and Bosch too, really sums that up. When and where is the launch for 21st Century Surrealism: A Guide For Artists and Creative People? I’m lucky enough to have a solo exhibition of my artwork in Stockport War Memorial Art Gallery this September, so the opening of that that will mark the official launch for this book. The exhibition itself will be called 21st Century Surrealism, and I’ll exhibit 21 paintings, including the original ‘God Being Killed By Theists And Atheists’. Some fabulous poets will be taking part in the exhibition too. Former Cheshire Poet Laureate John Lindley, Nantwich poet Helen Kay, and many poets from the extensive Write Out Loud group will be writing new poems to accompany the paintings. The exhibition will open with a launch event on Saturday September 15th at 2pm. A special poetry reading event will take place at 2pm on September 22nd, which will be filmed. The whole exhibition will be open to the public daily from September 15th until October 2nd. So much is coming. I have a new book for the autumn called Deep Dark Light, which is an odd combination of poetry, philosophical ideas (each on one page, like poems) and a surrealistic story. It is structured like a musical symphony in text, so is an unusual, experimental work, that is perhaps similar in structure and feeling to one of William Blake’s visionary books. I have two music albums coming out this year too: The Modern Game is a pop album with a theme of how technology is affecting the world, and as the musical half of Fall in Green, Testing the Delicates is a ground-breaking recording which combines poetry and classical piano to convey a narrative about mental health, and what it means to care. My video show for YouTube, ArtSwarm, will continue every fortnight too, and, if I have time, I will find time to paint something. Your literary or photographic work has appeared in over 100 journals. Can you tell us about your journey towards being a writer? What subjects do you photograph? Do you combine words and pictures? As a bookish person, I’ve aspired to be a writer since childhood. I read constantly. I keep paperbacks in my jacket pockets and my pants pockets so I can read at any time I am not otherwise occupied. I even pocketed paperbacks at my wedding, just in case. Understanding at an early age that few are fortunate enough to write literary fiction full-time, I sought out a career in the media so I could write for my day job, to develop the muscle memory. I first started photographing as a necessity for publications with limited resources, where I needed to both photograph and write up assignments. I’ve since evolved into a prolific shutterbug, and am most interested in architecture, urban landscapes, urban decay, graffiti, and natural landscapes. My iPhone photo albums are largely devoid of people–for whatever reason, I’m more drawn to art, architecture and the like. I seldom combine words and pictures, but my writing and photography sometimes draw inspiration from the same subjects. You are an Iraq War veteran. How much has this experience fed into your work? Iraq was rough. I often strive to tell war stories, and experiment by trying to tell them through different forms. It’s something I feel I have to do justice to as a storyteller. You are also an award winning journalist. How did you get into journalism? Have you advice for any of our followers who want to enter this field? In high school, I wrote an earth-shattering investigative exposé on how high school athletes used the dietary supplement creatine and how it was potentially harmful. Earlier in May, I received a prestigious Peter Lisagor Award from the Chicago Headline Club at the ritzy Union League Club in the Loop after watching a video presentation about the acclaimed Chicago Tribune journalist Anne Keegan, whose first high school story had been about birds nesting at the school, which somehow stirred up controversy with notoriously open-minded administrators. Anyone interested in entering the field should just amass clips, and use them to persuade editors of their writing chops. It’s largely all about what you can do. That being said, the transition from dead trees to online has taken more than a pound of flesh, and the carnage continues until they settle on a new, more viable business model. I’ve been sickened to see so many of my talented colleagues laid off, or just given up on a career that seems to be circling the drain and certainly has endured a great deal of political scorn over the last few years. You were named poet laureate of Chicago BaconFest. Interesting! Can you tell us about this? What is the literary scene like where you live? I get nervous reading my work at half-empty coffeeshops but somehow wasn’t daunted to read a dumb joke poem in front of thousands of people at the UIC Pavilion, including comedian Hannibal Buress and Chicago Bears players. I was also a runner-up in the PBR Art Contest for poetry, earning me a three-month supply of that hipster swill. For some reason I imagined a worker would dolly a few cases of Pabst Blue Ribbon to my door; instead, they sent a paltry check. Northwest Indiana is the New Jersey of Chicago–it has a surprisingly vibrant literary scene that includes afew journals, the Zine and Small Press Festival in Michigan City, many lovingly crafted zines at cafes and boutiques, writers groups, the Indiana Writers Consortium Steel Pen Conference, open mics and more. Neighboring Chicago definitely has one of the best literary scenes in the country, with at least a few live lit events every week. Plenty of big-name authors pass through. I’m going to see National Book Award winner Jesmyn Ward at the Chicago Humanities Fest in Hyde Park. What is it you love about the short story form? What about poetry? Any preference? Short stories are one of the most digestible and accessible forms of literature, a narrative contained in a convenient package. I love the soaring heights of language poetry can ascend to. No preference. They’re both great expressions of creativity. I write a lot about industrial decline, abandonment, alienation, war, despondency, injustice and other themes. While my work may be thematically dark, it’s typically leavened by a lot of humour. It’s a grind. I write, write, write for my newspaper…at a bar, a fellow reporter recently introduced me as the “journalist who wrote the entire Times of Northwest Indiana and produced 12 stories a day.” That’s a comedic exaggeration, but not by much. I write journalism by day and write literature by later at night, often working on short stories or poems into the wee hours of the morning. I read as much as possible, try to walk as much as possible, and frequent plays, museums and other cultural events on the weekends. There’s so much that’s so profoundly wrong with the world, from poverty to inequality to sexism to racism, to senseless gun violence. If you put a gun to my head, I would probably call for more appreciation for media, literature and the arts. I say that partly out of self-interest but truly believe, however Pollyannaish it may sound, that most of the world’s problems could be solved if people read a book a week, kept up with the news, developed empathy for other people, and maybe spent a few hours volunteering. So many intractable issues seem to be at least partly the result of ignorance. This is perhaps the toughest question. Any author I’m reading, any painter whose work I’m looking at. It takes bravery to create art in a cruel, indifferent world. I was miserable for most of my youth but haven’t since attained any wisdom of note. Mostly, I would encourage my younger self to not be such a perfectionist with literature and just write. My biggest regrets are failing to submit to literary journals like Canvas at Indiana University because I held them in such high esteem and held myself in such low esteem that I didn’t think I was worthy. Now they’re gone and I missed the chance to develop as a literary writer, whether they accepted my work or passed on it with stale, dashed-off form letters that are almost always more error-ridden than the cast-aside submissions. I’ve frequently sought out literary sites, such as the Thurber House in Columbus, the James Whitcomb Riley mansion in Indianapolis and Jean Shepherd’s childhood home in Hammond, Indiana. I’ve frequented places like the American Writers Museum in Chicago and The Things They Carried exhibit at the National Veterans Art Museum. The closest I probably ever came to a pilgrimage proper was my cross-country road trip to Fort Lewis by Seattle, which I fancied was a modern-day version of On The Road even though it was far less exciting. As someone who suffers from Imposter Syndrome, no matter how widely I’ve been published, I probably shouldn’t be proffering advise on this subject. But read, write and read a lot. That’s the ticket. Read widely, and keep trying to incrementally improve. Reading’s the key thing. Katey Schultz’s Flashes of War, F. Scott Fitzgerald’s lost short story collection I’d Die for You, Alison Moore’s The Lighthouse, Michael DeForge’s Very Casual, Sam Graham-Felsen’s Green, Nathaniel Rich’s King Zeno, Tatjana Soli’s The Lotus Eaters, Eimear McBride’s The Lesser Bohemians and Alan Moore’s Swamp Thing. I’m also a professional book reviewer for a national magazine and read tons of books for work. Novels, plays, maybe even screenplays. I’m been slowly but surely working my way up to longer works, and we’ll see how it goes. I’m trying. Everybody’s trying.